Mark Your Calendars! 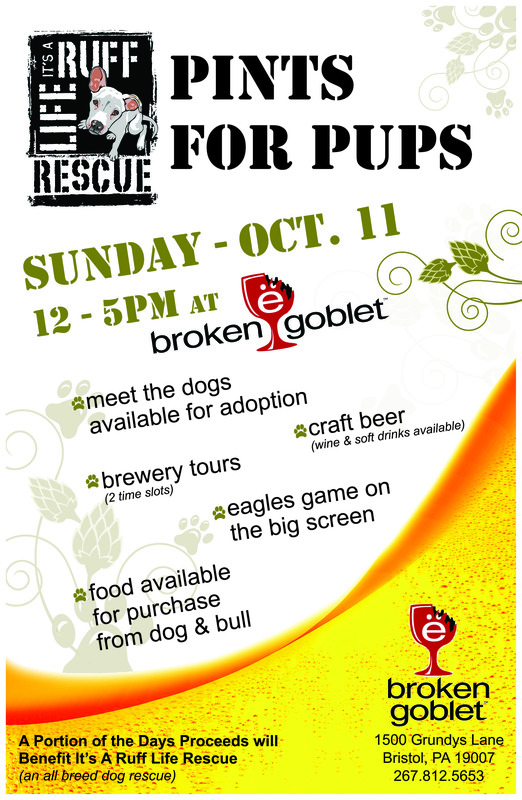 This Gal is bringing together two of the things she loves the most, Dogs & Beer, for Pints for Pup October 11, 2015 at Broken Goblet Brewery Noon to 5pm. A portion of the days proceeds will benefit It’s a Ruff Life Rescue (an all breed dog rescue).